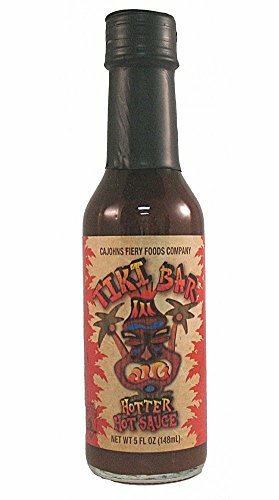 Tiki Bar "Hotter" Hot Sauce (5oz) - Inspired by the art of Stevo Stevotomic of Las Vegas, Nevada. This tasty treat harkens back to the Polynesian supper clubs of the 60's and 70's. Retro but relavant to today's tastes, a sweet hot wave of flavor awaits! Mahalo! If you have any questions about this product by CaJohns, contact us by completing and submitting the form below. If you are looking for a specif part number, please include it with your message.